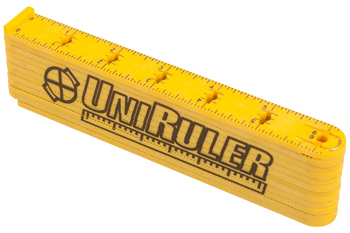 The UniRuler has 3/16" diameter holes located on center of every inch marking. Above and below those holes are 3/32" x 3/32" notches that are placed on center of every inch mark as well. These added features allow the user to place a 3/16 diameter screw or nail through it as well being able to place a carpenter pencil through it.